Blustery winds lift fallen leaves from the ground and swirl them around like haints let loose. Screams and squeals of delight mingle as hoards of children race from door-to-door to claim the best selection of candy from each willing neighborhood resident. Painted faces, costumes ranging from simple to gaudy, barely block the chill of a late autumn night. Tonight the goal is to fill a poke or pillowcase with enough sugary treats to provide a high for days -- or send some running to the toilet as their bodies revolt from the over-indulgence of treats. Red-cheeked children ring doorbells or bang on the doors. 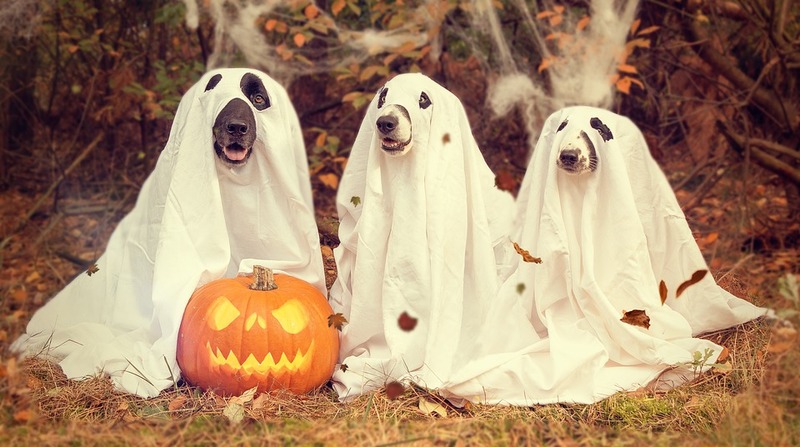 When the door opens, a chorus of "TRICK-OR-TREAT" begs for the treat. 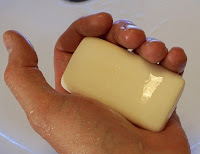 But beware -- for there are some ghosts and ghoulies who carry a bar of soap in their pocket. If the treat is not forth-coming or doesn't meet expectations, that bar of soap may be used to mark the windows of the house with disappointed graffiti. Oh, the days of TRICK-OR-TREAT. I remember well the days when my friends and I dressed in whatever costume we could pull together from our parents' or siblings' closets on Halloween. Some fortunate kids had a mother who lived to create a costume that gave the appearance of being more thought out and creative. If you couldn't afford the appropriate fabric, though, there was always crepe paper. My mother made several costumes for my TRICK-OR-TREAT jaunts out of crepe paper. She sewed it into a costume -- usually a witch. Crepe paper was cheap and sewable. It was also a bit stiff and made rustling noises as I ran. My hope was that it would last through the night without disintegrating. I prayed it wouldn't rain because then I would come home with a disappearing costume (I always wore something underneath, just in case). Also, the rain caused the dye in the paper to run. My body would be streaked with dye that took some scrubbing to get off. I think my mother made my costume so she could also make one for herself and join my brother and me in TRICK-OR-TREATING. She was only five feet tall and shorter than some of my friends. Everyone thought she was a kid, too. I swear she got more candy than the rest of us. Candy. How we all loved it. 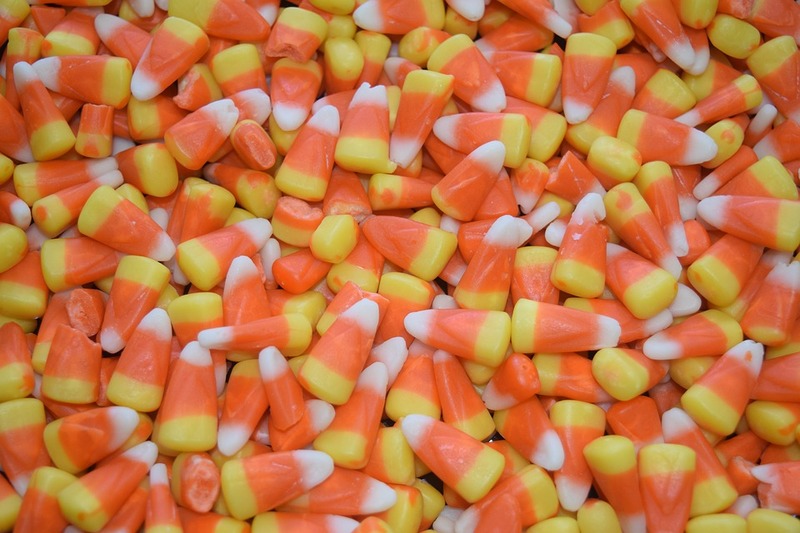 My favorite candy was candy corn. Half the fun was switching candy with a friend -- or Mom. She didn't like candy corn and I didn't like chocolate as a child. Halloween wasn't just about TRICK-OR-TREAT though. It was fall parties at school (more candy), decorating with Indian corn and corn stalks, pumpkins carved and mangled into distorted faces and lit with a wax candle. I still recall the smell of a pumpkin's innards as I scooped out the seeds and pulp. Not necessarily a pleasant odor, but distinct. 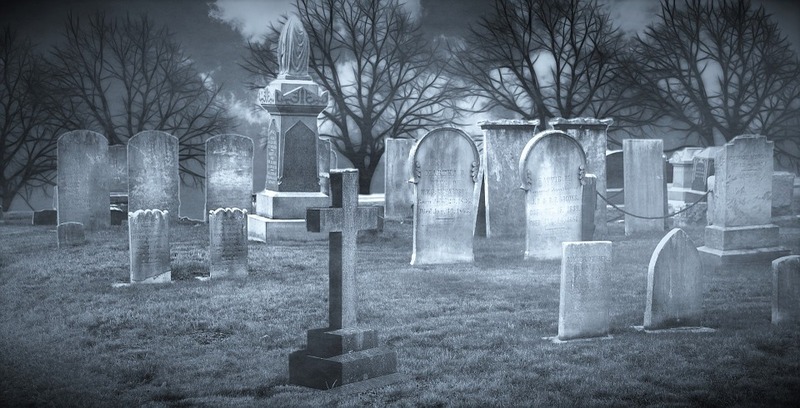 Some parts of TRICK-OR-TREAT raised the goosebumps. Passing the funeral home made us run faster. 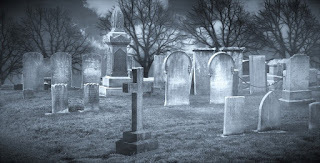 But going by a graveyard terrified us. I don't know why we considered them scarier on that one night than any other, but that night seemed to make us all believe in our innocent child hearts that evil just might exist. Unfortunately, as adults, we now believe in evil is evident every day of the year. One of my favorite TRICK-OR-TREAT seasonal treats was the orange wax whistles. Almost every schoolkid used his or her allowance to purchase one at the little store across the street from the school. I'm sure the teachers were more than ready for wax whistle season to end. We all started out playing "songs" on our whistles, attempting to play the loudest, longest, and most unique tunes. After we tired of blowing, we bit into the tasty orange wax chambers, now filled with slobber, and chewed them like gum. I loved the flavor. TRICK-OR-TREAT has changed today. Most children don store-bought costumes that represent movie or cartoon characters. No creativity is allowed. You must have the pre-conceived representation of an imaginary character in someone else's imagination -- and pay them money for the privilege to wear that costume. Pokes and pillowcases have been replaced with molded plastic buckets or plastic bags. Even the racing from house to house is frowned upon -- for safety reasons. Most children are packed into the family SUV and taken to a TRUNK-OR-TREAT instead of a TRICK-OR-TREAT. I miss the old days. I miss the excitement of being on the hunt, out in nature, on my own -- except for the company of my friends -- and Mom, of course. But on that night, she wasn't Mom. She was a fellow witch, ghoulie, or clown racing from house to house and yelling, "TRICK-OR-TREAT!" Do you remember the days of simple TRICK-OR-TREAT? Do you miss it? I'd love to hear your stories of TRICK-OR-TREAT. A lot of folks who didn't grow up in the mountains of eastern Kentucky and the surrounding areas during my era, don't realize how creative we had to be to provide fun activities for the children. One thing I looked forward to each summer was a trip into the mountains of Harlan County to find sandstone. The hills are rich with all kinds of rocks and minerals. Coal, shale, granite, limestone, and sandstone -- among others. Some may find it strange that we have sandstone in our mountains, so far from an ocean. However, we have often been told our mountains were once underwater. I tend to believe them -- since I gathered pockets full of sea creature fossils from the tops of those mountains. One of my favorite places to collect fossils was at the airport. 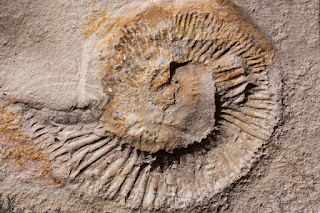 I remember one of my classes from school went up to the airport for the day and several of us spent most of our time climbing around the cleared mountaintop searching for rocks, minerals, and fossils. 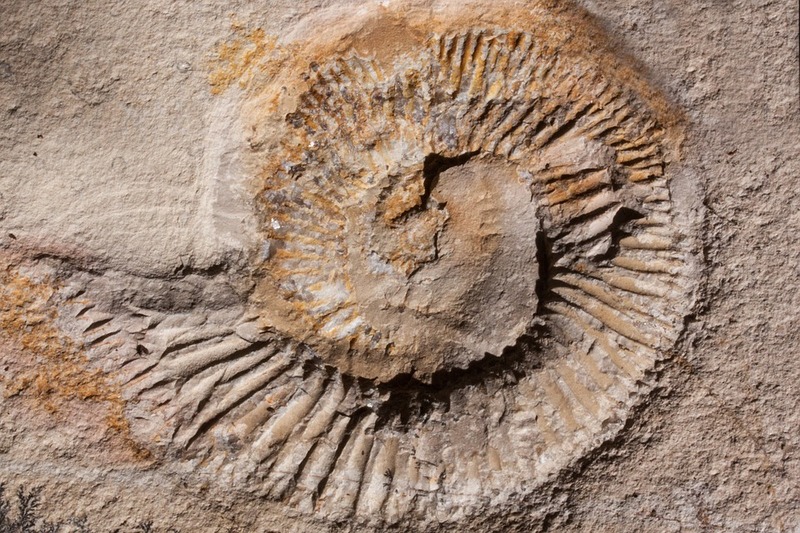 Unfortunately, I lost my fossil collection in the flood of 1977. But back to the sandstone. Each late spring or early summer, Dad loaded the back of the car with empty boxes and we took a drive up Laden Trail onto Pine Mountain, near where he grew up. He knew exactly where to find the best deposits of sandstone. Sandstone, after weathering, crumbles into a massive pit of sand. If the supply of sand had dwindled, the consistency of the stone allowed us to scrape new sand with the blade of a pick-ax. I enjoyed scraping new sand even if there was plenty to choose from. 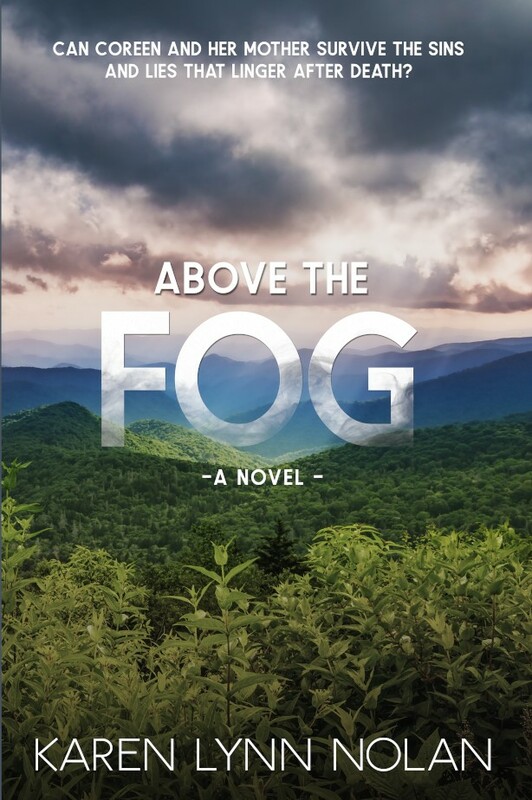 Remember how I told you about our search for creative outlets in the mountains? Dad parked the car in a pull-off and we unloaded the boxes. The walk wasn't far. With boxes ready and Dad with a shovel, we began the task of gathering sand into the boxes. 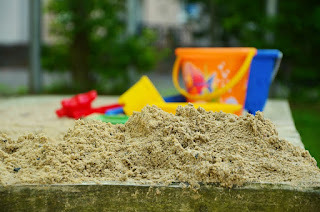 When they were as full as Daddy could carry, he put down the shovel and lugged the boxes of sand to the back of the car. While he worked on shoveling and carrying the sand, I played in the piles left behind. I especially loved the sand at this particular sandstone location. 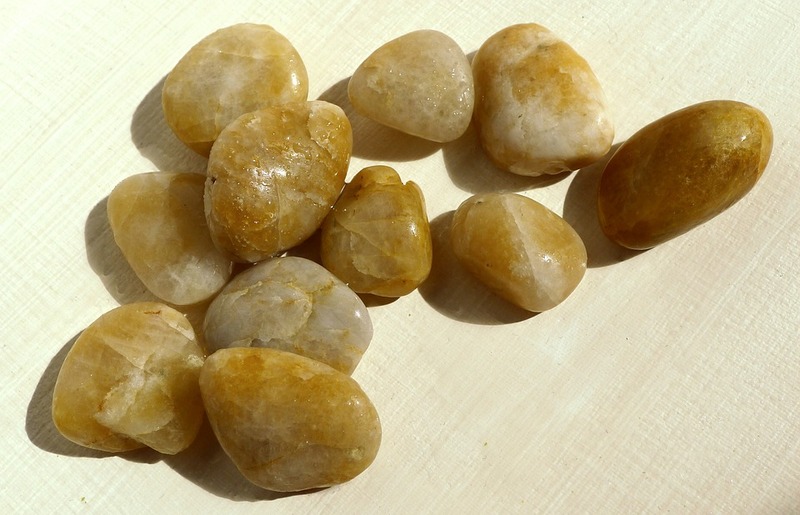 It was mixed with thousands of tiny quartz pebbles. My love of sparkly rocks had already become well-established, so quartz pebbles made the sand even more special for me. With the trunk loaded down with sand, Daddy maneuvered our rear-heavy car around the hairpin graveled curves of Laden Trail and back home. He immediately began the arduous task of unloading the boxes of sand and emptying them into the home-made sandbox he had built. I spent many joyful hours playing in the sand. My dog, Caspy, a mountain feist, enjoyed playing with me. She rolled around in the sand and dug holes as I built sandcastles lined with quartz pebbles. Of course, I didn't have plastic shovels and buckets to form the sand. I used margarine cups, spoons, and jelly glasses. I miss those days of simple pleasures. Did you ever go into the mountains to gather sand? How did you wile away your summer days of leisure? I'd love to hear your stories. No, I don't mean T-I-R-E (pronounced TAR). I mean TAR. Remember that smell of hot TAR being heated up in a cauldron like a witch's brew? A group of men would show up with the vat of TAR and hook it up to a generator that could be heard for miles--or so it seemed. It did its magic and heated the tar until it became a hot thick soup of stinking TAR. When it reached the right temperature and consistency, the men would heft buckets of melted TAR to the roof of a building and spread it with a brush broom to hopefully plug up any holes that had previously allowed the rain or snow to seep inside and damage the inside of the building. I always felt sorry for the poor men who had to climb up on the roof on hot summer days, wearing overalls so the tar didn't burn their skin or leave a coating of TAR on them until it wore off. Can you imagine how hot they must have been? 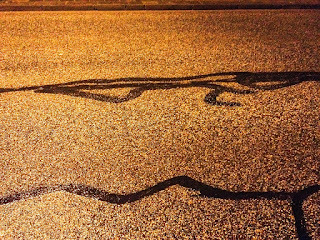 The smell of hot TAR reminded me of a squashed skunk on the road. Not a pleasant odor at all. They used TAR for more than just the roofs of buildings, though. It also aids in plugging cracks and holes in the paved roads. 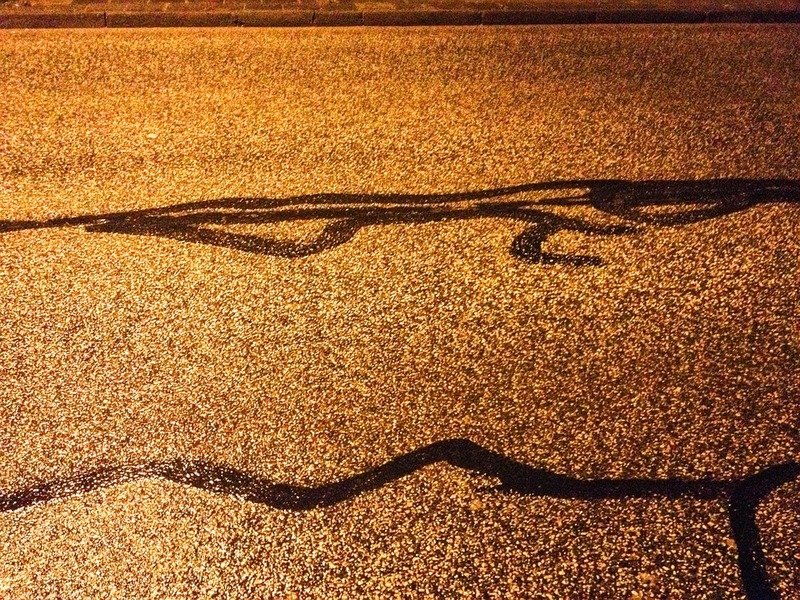 TAR is, after all, asphalt. I remember well the zig-zag lines of shiny black TAR streaking along the road like a slug trail. Another use for TAR has thankfully become a part of history -- an unsavory part of history. I read about people being TARRED and feathered. It's a shame that some people think they have the right to become judge, jury, and executioner (or humiliator) when someone doesn't meet their expectations or abide by their rules for polite society. Polite society -- yeah, that's ironic. TAR is not only utilized in its hot, semi-liquid state. Many an Appalachian family found a use for another version of TAR. TAR paper. 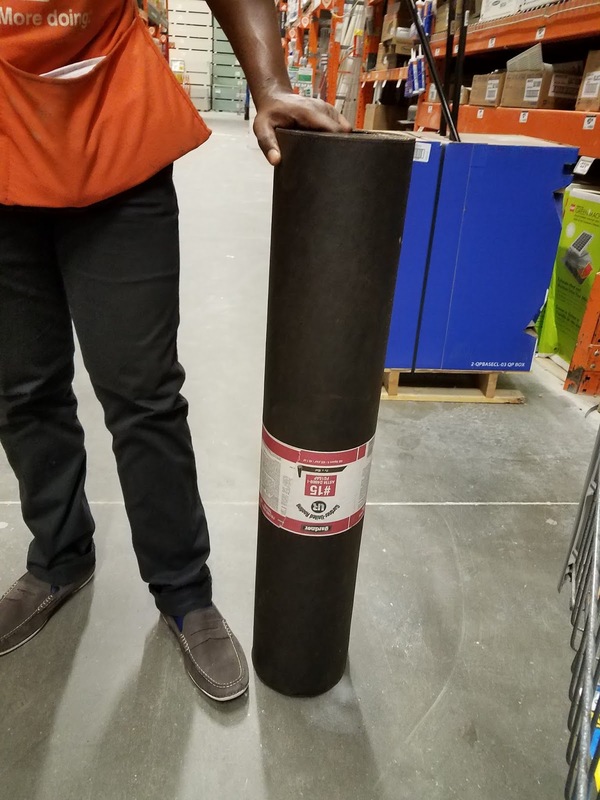 TAR paper comes in rolls and is still used today to apply a protective layer to a roof before adding shingles. Well, the resourceful mountain folk figured if it was good for providing a waterproof layer between the roof and shingles, it could do the same for the walls of a structure. Some people used this inexpensive alternative to paint on the outside walls of their houses, garages, sheds, and other outbuildings. I found rolls of TAR paper at Home Depot the other day. A roll today costs about $15. 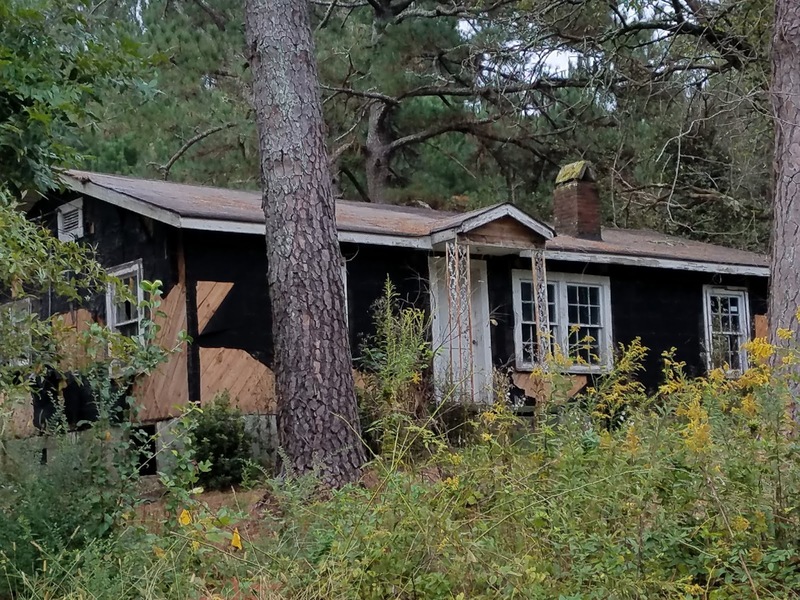 I usually don't see TAR paper being used on houses in Atlanta. 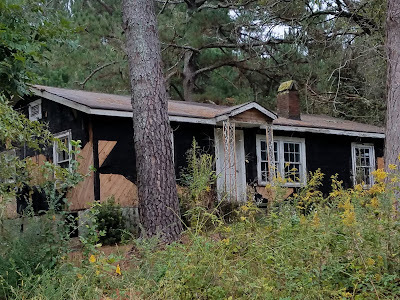 However, I happened upon a house on one of my excursions the other day that was sporting TAR paper on its walls. Unfortunately, the TAR paper is beginning to peel off and the house is in need of a new roll or two. Does TAR bring back any memories for you? Can you still smell it when you close your eyes? It seems, from a couple of comments I've received lately, that some of my dear readers are not reading the stories before commenting. Please make sure you're not one of them. Also, if you are insulted by our wonderful Appalachian heritage -- including our history and dialect -- then don't bother reading. Just allow those of us who love being from Appalachia to share the love and respect for our people. We're about love, not hate. No feuds allowed here. 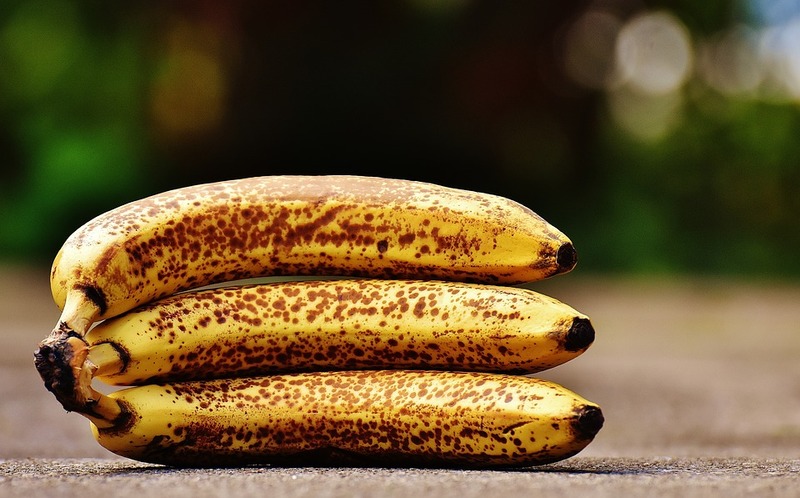 Is the word NANNER spoken in your house? Do you know what it is? 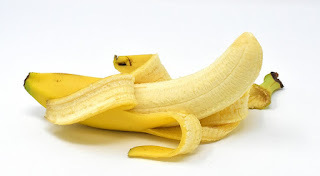 Although we usually used the word banana instead, NANNER did sometimes slip out when my mom and dad talked about them. My grandmother used it often. My brother, Larry, used it all the time. Of course, he often used certain words and terms just to be different. I think it was his attempt at being humorous -- like the time he answered the phone and said, "President speakin'." It happened to be a call for me from the leader of the American Legion. His face drained of color and he started stuttering. I may tell you another time why the American Legion was calling a high school girl. NANNERS were a staple in our house. I often took a peanut butter and NANNER sandwich to school for lunch. I loved the fragrance of warmed NANNER, peanut butter, and Bunny bread as it cooked inside the classroom (We had no air conditioning in those days). Ahhh. I can smell it now. 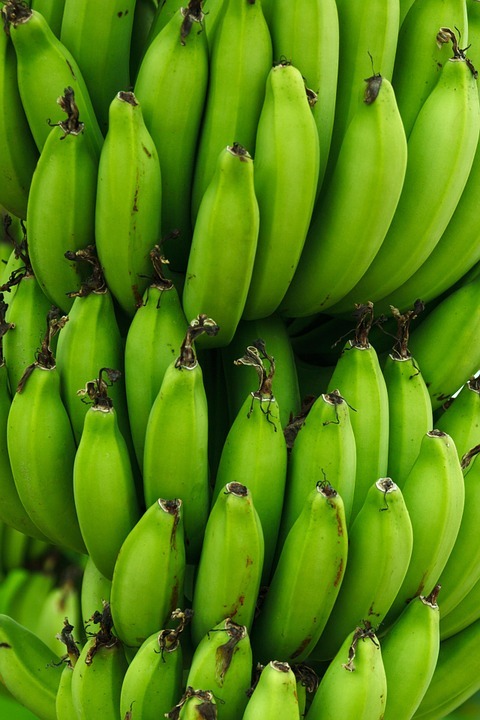 Of course, NANNERS weren't only for sandwiches -- or sammiches as most of us called them. 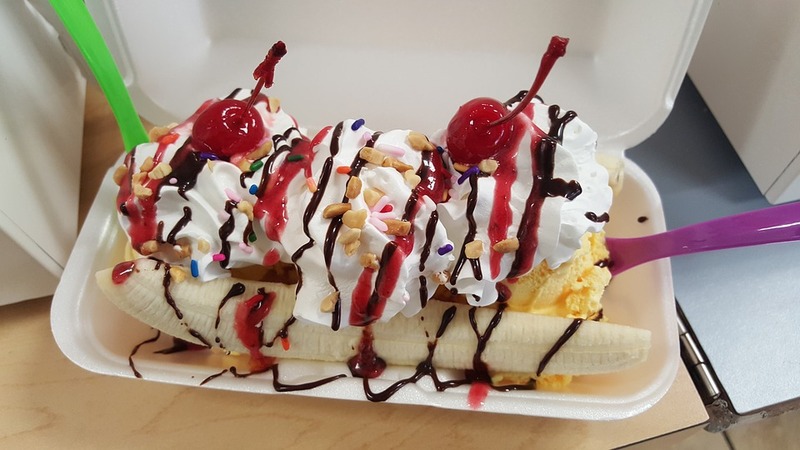 A special warm-weather treat was a NANNER split. The best of everything sweet. 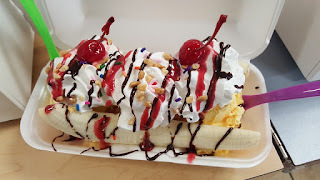 I loved the ice cream, chocolate syrup, butterscotch syrup, coconut, and peanuts sprinkled over the whipped cream. I mustn't forget the cherries on top. The healthiest thing in it was the NANNER itself. My brother enjoyed slicing a NANNER for his bowl of cereal each morning. His huge bowl of cereal. I think he ate three boxes of corn flakes a week. 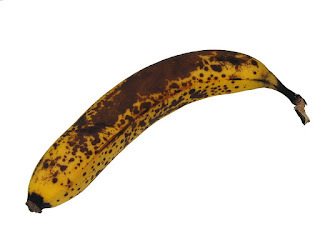 I prefer my NANNERS dark yellow, but without dark spots. I like them firm and sweet. If they're too green, they make you pucker and if they're too ripe, they are mushy and remind me of squash. Like Goldilocks, I like my NANNER just right. It does seem a bit strange that a tropical fruit was so popular in the mountains of Kentucky. They had to travel a long way to get to us. The trip was worth it if you ask me. Did you call them NANNERS in your house? If not, what did you call them? And what is the best way you liked to eat them -- then and now? 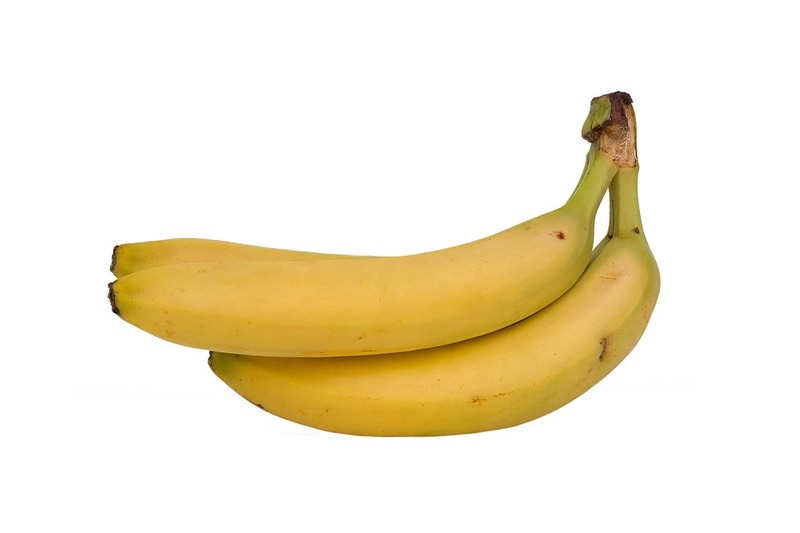 Also, what degree of ripeness do you prefer? Green, yellow, spotted, or nearly black? I love to hear your stories.